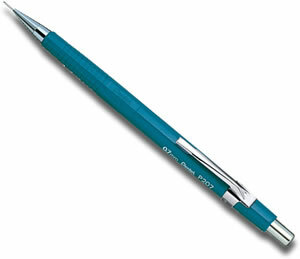 The Perfect budget propelling pencil, ideal for students or people who are prone to losing the odd pencil! Ideal for all drawing or sketching the Sharplet has a textured grip zone, metal clip and replaceable eraser. 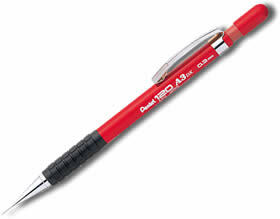 The Pentel 120 A3 Propelling Pencil has a smart plastic barrel with a rubber grip for comfort. With a nice metal tip for the leads the 120 A3 has a really nice feel to hold which belies it's lower budget price tag! The excellent Pentel Twist Erase has a jumbo sized eraser (for when we all make the odd mistake!) that is twisted up from the barrel. It has a lovely rubberized grip for comfort and a reassuringly chunky feel in the hand. Loaded with HB leads and available in 3 different sizes. 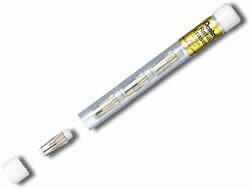 Pentel Ain Stein leads have a ceramic cell structure which make them 10% harder than standard leads. 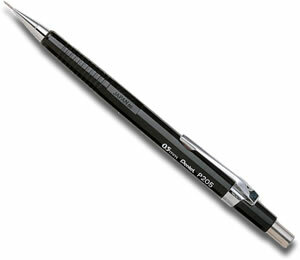 They are suitable for all Pentel Propelling Pencils - and any other brand of pencil which takes the same diameter lead. 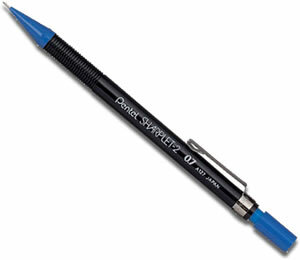 Pentel Super Hi-Polymer leads are extra strong with a slow wear rate and dark colour. 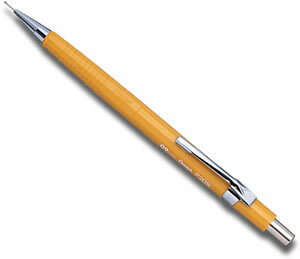 Suitable for all Pentel Propelling Pencils - and any other brand of pencil which takes the same diameter lead.